Leaving your country can be stressful and scary, especially if you are moving to a whole other continent. If you are moving from the US let’s be honest, Europe is the best place to go. So many different cultures and languages to experience, and different cuisines to try. There is a diversity of countries and cities you could choose to move with your family. Coast of Italy offers a wide range of cities. Nonetheless, if you chose to move to the central part of Italy, do not miss out to visit the coastline. Let’s talk a bit about Italian culture before we present to you the best Italian cities to move with your family! Italian culture nurtures family, arts, music, food, and architecture. Center of Renaissance and the Roman empire, the Apennine peninsula prospered over centuries. In the heart of Italy lies Vatican City, the home of the pope. The main religion is Roman Catholicism, but there is also a percentage of Christians and Muslims. Coastal cities offer Mediterranean cuisine, fine wines, and Italian serenades. It is a hard choice to decide whether you are going to move on the coast or pick one of the larger cities in central Italy. 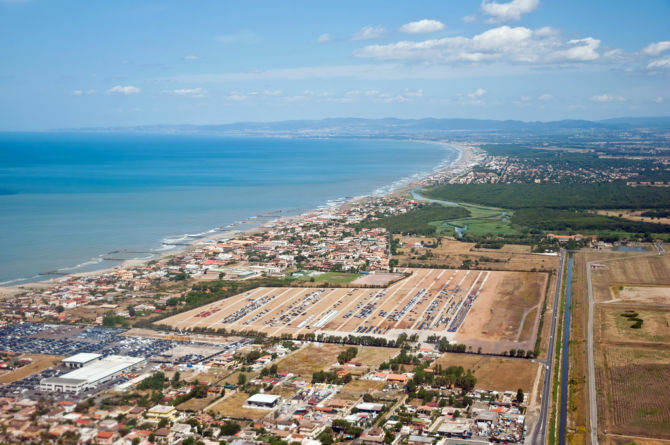 Living on the seaside can seem like a fairytale come true, but if you are moving with kids, the better option would be the center of Italy as it offers more possibilities. Whatever your choice is, Italy is a beautiful country and you cannot make a mistake by moving on the Boot. There are so many beautiful cities, but you can only move to one. Nonetheless, try to visit them all as it will be an experience to remember! Located in southern Italy on the Adriatic coast, this fishing town blooms like a flower. Agriculture, fishing, and tourism are primary sources of income, therefore are perfect for a family. Warm weather and astounding views create a peaceful atmosphere. 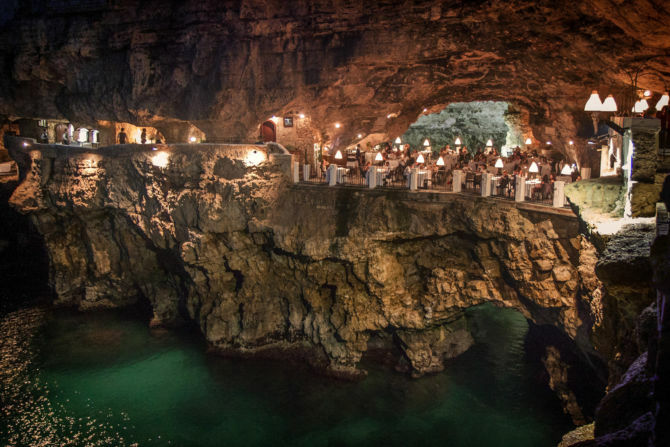 One of the more famous attractions is Grotta Palazzese, a beautiful secluded restaurant hidden in a cave. Be sure to go to Lama Monachile, prettiest white-pebbled beach on the coast. The second largest island on the Mediterranean Sea is decorated with an abundance of sandy beaches. There are a lot of activities possible, like horseback riding or romantic walks, plenty of hiking trails, and you can even ski during the winter. The landscape is dotted with mysterious Bronze Age stone ruins. Do not miss out this pearl! Located on the Italian Riviera, this small town offers a romantic atmosphere, visit a famous walkway along a coastal cliff, called Via dell’ Amore. A perfect place to move with your loved one. Close to it, there are cities like Florence, Pharma, and Bologna. If you travel to the tip of the Italian boot you will find this jewel of a historic fishing town. Named by the mythical creature found in Greek mythology, it offers beautiful beaches and a scenic view. Even its beautiful landscape reminds of cities in Greece. 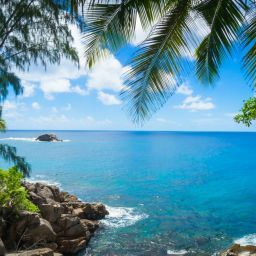 It is a tourist attraction so expect to find a lot of tourists there. 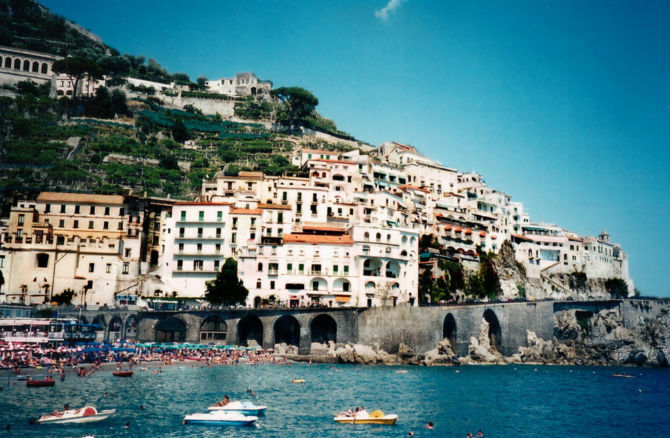 Located on the Amalfi Coast, the entire town is built in into the hills over the coastline. One of the most beautiful places to go, it is famous for growing lemons. Narrow streets lined with cafes and restaurants create a rustic atmosphere. You can find a lot of museums, churches, and cathedrals, and it is perfect if you plan to study Italian architecture and the arts. If you chose to stay away from the coastline and move to one of the major cities in Italy, you have plenty of options to choose from. This great country offers a magical life so do not hesitate to move with your family. Let’s check out the second part of our list of best Italian cities. Where else to start but in the capital, the largest city in Italy that offers an amazing experience. Rich with Italian culture and many tourist attractions, it is the center of all happening. Whether you are a sucker for art and architecture or Italian cuisine, Rome guarantees a good time. There is plenty of shops, restaurants, and places to go out. 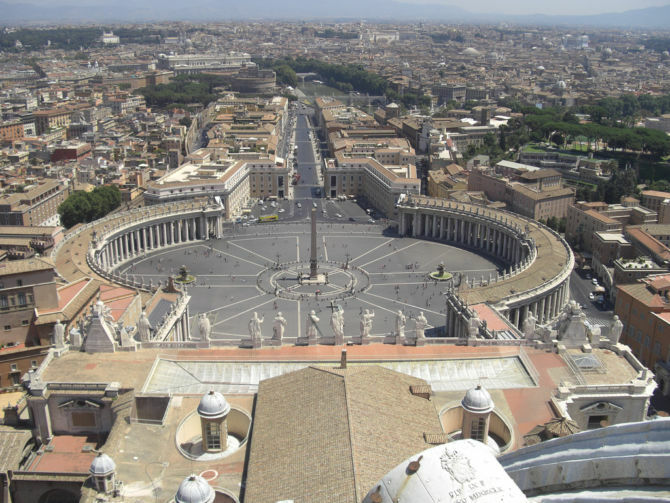 The Vatican City is half-hour bus drive from the center and it is on the west bank of the river Tiber. 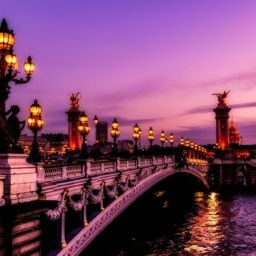 You can use any of the beautiful bridges to cross over or to enjoy night view. Florence is known as the City of Lilies. A lily is an important symbol of Florence and you can find it on the city´s official flag. Being the capital of the Tuscany region, Florence is called the Birthplace of the Renaissance. Throughout the city dominate colors of red, yellow and orange, which creates a warm atmosphere. River Arno is the crown jewel of the city. There are eight bridges joining two sides, and on the highest section, you have the best view from Michelangelo square. Large steps are always crowded with people eating, having fun and listening to street performers. On the same side of the river, there is the House of Flowers and amazing Boboli garden that you should not miss out to visit. Florence’s most historically significant square is the Piazza Della Signoria, gathering place for most of the activities. 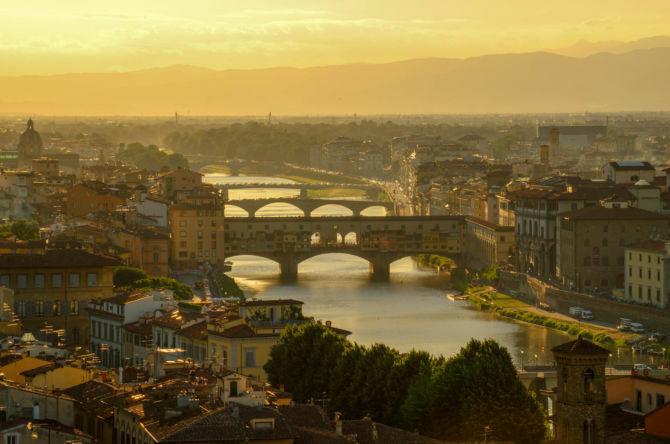 If you love Renaissance and Italian architecture, Florence is the city for you. It is one of the most beautiful locations in the entire country. The last on our list is the capital of Emilia-Romagna. Famous for its delicious cuisine, Bologna is a must-visit location, even if you chose to move to another town. Like all Italian cities, it is rich in cultural activities and architecture. It is widely recommended to visit as it offers a unique feeling, you will be overwhelmed by Italian culture. Being a university city with an attitude towards questioning everything, its people are highly intellectual. A lot of students come every year to study and enjoy this wonderful place, and it is clearly obvious why Bologna is one of the best Italian cities. Pack your suitcases, you are ready for the Boot! We hope that our little guide of best Italian cities was helpful. If you were wandering should you move to Italy or not, this will give you an insight into what to expect. If you are in love with renaissance and architecture this is the place for you, do not miss out the opportunity to visit the Mediterranean coast or travel throughout the magical cities of the Apennines.